Do these words make your head spin, and your tongue tie up in knots? 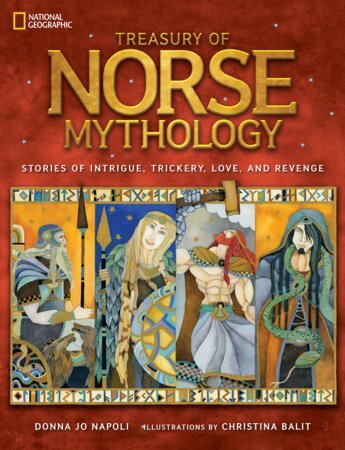 Never fear, the team that brought you the Treasury of Greek Mythology and the Treasury of Egyptian Mythology is here to guide you through the complex world of the ancient Norse with their third volume in National Geographic’s exquisite mythology series, Treasury of Norse Mythology. 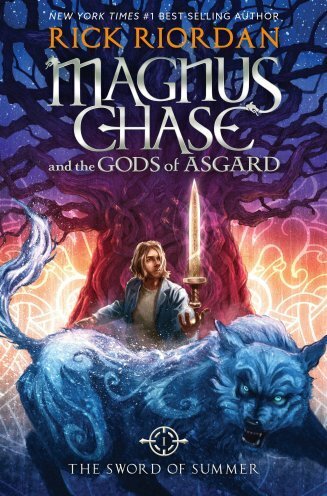 This handsome collection will be popular with fans of Rick Riordan’s Magnus Chase and the Gods of Asgard, the Dreamworks movie of Cressida Crowell’s How to Train Your Dragon book series, and Marvel.com’s Thor: The Dark World. Don’t skip the “Introduction.” It clearly and succinctly explains the Norse world. Napoli describes how the geography of this area (Norway, Sweden, and Denmark) affected the Norse “worldview” and how their Norse passion for storytelling kept these myths alive long after the spread of Christianity. What follows are eighteen traditional myths, retold in Napoli’s beautiful prose and dramatically illustrated by Balit. From the creation of the cosmos to the final terrifying battle between the gods and the giants, the stories presented in this collection include arduous quests, terrifying monsters, devious shape-shifters, and thwarted lovers. The stories, each several pages long, are preceded by Balit’s two-page spreads, which perfectly capture dramatic moments and complement Napoli’s vivid and accessible prose. 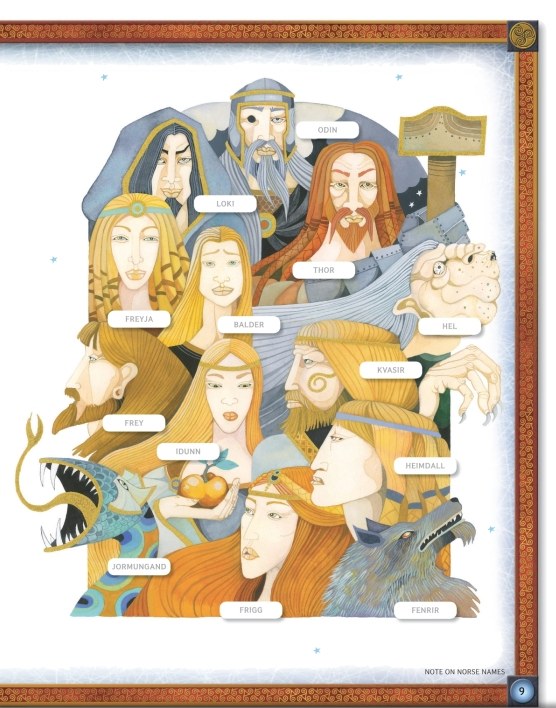 Interior artwork from Treasury of Norse Mythology by Donna Jo Napoli with illustrations by Christina Balit, National Geographic Children’s Books ©2015. In the myth “Cosmos,” Napoli clearly explains the creation of the universe and the mind-blowing Norse belief of multiple worlds. The ash tree, Yggdrasil, stretches through these worlds, which include Asgard (the home of the gods) and Midgard (humans). Balit creatively and colorfully depicts the nine worlds, giving the reader an excellent visual of this complex concept. “Destruction,” another fine example of Napoli’s and Balit’s collaboration, is the final, hair-raising battle between the gods and the giants, ending with the fall of Yggdrasil and the fiery consumption of the cosmos. Balit’s illustrations of the raging fires’ glowing flames, set against the frigid white of the snowy land, are breathtaking. Extensive and substantial front and back material and sidebars in each story are included to help readers understand the background of the myths. Readers will find a map of the ancient Norse world, thumbnail sketches of the characters, a timeline of Norse history, and a detailed index. The afterword discusses the history of the different versions of the myths as well as linguistic challenges faced by the author. 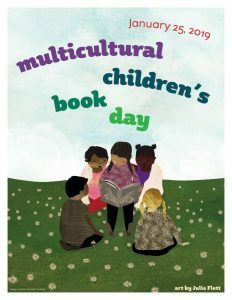 Author Donna Jo Napoli is the recipient of many awards including the Society of Children’s Book Writers and Illustrator’s Golden Kite Award for Stones in Water. 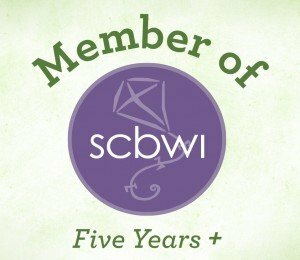 Visit her website for a biography and lists of books, awards, and reviews. Christina Balit, a British playwright, author, and illustrator, was shortlisted for the Kate Greenway Award in 1996. 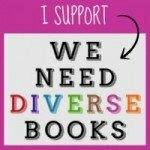 Find out more about her and her books here.